Maruti Suzuki ertiga ZXI+ 2018 edition with touch media system | detailed review !!! Harley Davidson road glide special | detailed walkaround review !!!!! TVS Victor 2018 edition with LED drl BS4 AHO | detailed walkaround review !!! Hyundai Grand i10 sportz optional automatic | detailed review | interiors & exteriors !!!! suzuki intruder black variant | detailed walkaround review !!!!! Mahindra e2o plus 2018 edition | detailed review | interiors & exteriors !!!! tata nexon xz+ infotainment | music system review | features explained !!!! Bajaj Avenger Cruise 220 moon white 2018 edition | detailed review !!!!!! Kawasaki Ninja ZX10 RR 2018 edition | detailed walkaround review !!!! DSK Benelli tornado TNT 25 2018 edition | detailed walkaround review !!! Triumph Bonneville Bobber 2018 edition | detailed walkaround review !!!!! jeep compass infotainment | music system review !!!!! hyundai verna sx 2018 edition | detailed review | interiors & exteriors !!!!! TVS apache RR 310 exhaust note | sound !!!!! nissan terrano XL O 2018 edition | detailed review | interiors & exteriors !!!!!!! Piaggio Vespa SXL 150 matte black | detailed walkaround review | actual look !!!!! hyundai creta 2018 facelift edition | India | interiors & exteriors !!!! jio republic day offers | 98 is now 2 GB @28 Days | 50% less prices 50% more data !!! upcoming sedan cars @2018 | India | with price | engine details !! jeep compass limited automatic edition | detailed review | interiors & exteriors !!!! bajaj pulsar 150cc 2018 black pack edition | BS4 AHO | detail review in hindi !!!!! royal enfield classic 500cc squadron blue 2018 edition | detailed walkaround review !!!!!! mahindra xylo 2018 edition | detailed review | interiors & exteriors !!!! honda jazz 2018 edition | detailed review | interiors & exteriors !!!!!! KTM 390 duke 2018 limited edition | white paint scheme | detailed walkaround review !!!!! top upcoming hero bikes | scooty @ 2018 !!!!! tvs apache RR 310 instrument console | digital meter | features explained in hindi !!! toyota platinum etios VXD 2018 | detailed review | interiors & exteriors | actual look !!! hyundai i20 active 2018 | detailed review | interiors & exteriors !!!! DSK Benelli 302 R | detailed walkaround review | actual look !!!!! tata tiago wizz infotainment/music system review | features roundup !!! triumph thruxton R | actual showroom look | detailed walkaround review !!!! indian motorcycles indian scout | actual showroom look | review !!!! top 6 upcoming hatchbacks in 2018 | India | !!!!!! maruti suzuki alto k10 vxi automatic | detail review | interiors & exteriors !!!! bajaj avenger cruise 220 | BS4 AHO | detailed walkaround review in hindi !!!! nokia 3 unboxing | in box contents | features roundup in hindi !!!!!! bajaj discover 125cc 2018 edition with LED drl | BS4 AHO | detail review in hindi !!! bajaj pulsar 150cc 2018 edition | BS4 AHO | detail review | actual showroom look !!!!! 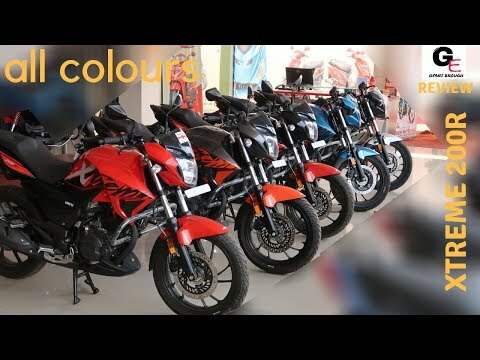 hero hf deluxe 100cc with i3s BS4 AHO | actual showroom look | real life review !!!! bajaj dominar 400 2018 edition red matte black | actual showroom look | detailed review !!!! royal enfield thunderbird 350 | actual showroom look | real life review !!! motorola moto c | unboxing | features roundup | in box contents !!!! royal enfield himalayan sleet edition 2018 launched | watch to see booking process & details !!!!! bajaj discover 125 BS4 AHO | actual showroom look | real life review !!!!! indian motorcycle indian chief classic 1800 | actual showroom look | real life review !!!! maruti suzuki celerio x | zxi | automatic | interiors & exteriors | detailed review !!!!!! dsk benelli tnt 600 gt sports tourer | actual showroom look | real life review !!! mv agusta brutale 800 | actual showroom look | real life review !!!! bajaj platina 100 comfortec BS4 AHO with led lights | actual showroom look | real life review !!!! renault captur infotainment / music system review | features roundup | with details !!! maruti suzuki omni | real life review | interiors & exteriors !!!! royal enfield continental gt 535 | real life review | details !!! honda amaze privilege edition | infotainment system/music system review !!! renault lodgy stepway | actual showroom look | detailed review !!!!! fiat punto evo 2017 | actual showroom look | interiors & exteriors | real life review !!! !